Ware Malcomb, an award-winning international design firm based in Southern California, today announced that construction is complete on the new Soylent corporate headquarters located within the At Mateo campus in the Los Angeles Arts District. Ware Malcomb provided interior architectural and design services for the project. Soylent, a pioneer in food technology, relocated from its previous LA location to accommodate the company’s rapid growth. Located on the third floor of Building 2 in the At Mateo campus, Soylent’s new corporate headquarters design is focused on collaboration. The space features open offices, breakout rooms, sample room, game area and a variety of lounge spaces with tiered seating for meetings. A circulation path runs around the entire office area, connecting the five “neighborhoods” or departments within the company. Private offices are located around the perimeter of the space, with 10-foot high glass walls allowing daylight to reach the interior. The black and white color palette reflects the foundation of the company’s product branding, and allows for the brand to advance as the company grows. Operable windows and roll-up doors let in fresh air and provide access to the exterior areas, including a rooftop patio for employees to enjoy. The new headquarters is also home to the Soylent Innovation Lab, a coworking space designed to attract like-minded, innovative technology companies to the Arts District. "Ware Malcomb was a phenomenal partner in designing an incredible space that allows both our Soylent team and our Soylent Innovation Lab members to build culture and synergy that are so important for growing our businesses," said Bryan Crowley, Soylent CEO. 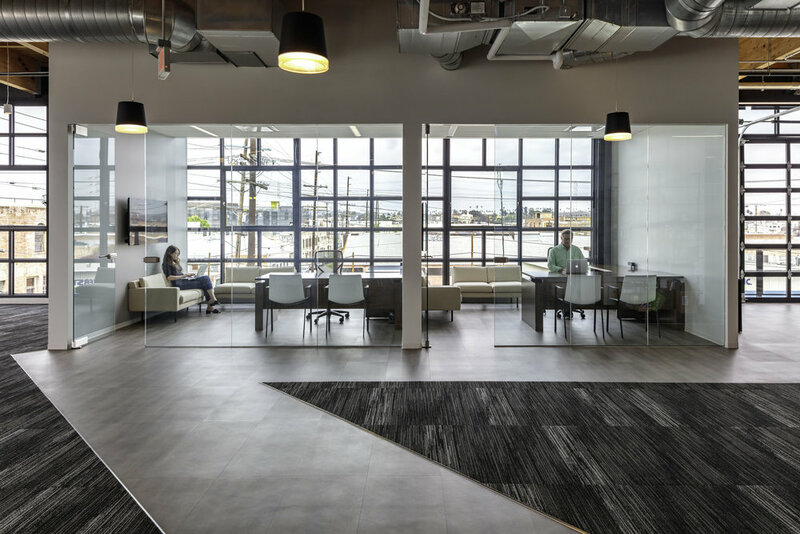 "We started with two of our Soylent core values, flexibility and collaboration, as inspiration and Ware Malcomb delivered a space that inspires our teams each and every day." LinkedIn and Haworth worked together to explore workspaces and learn how to support LinkedIn employees in the work that they do every day. Rapt Studio gives PayPal‘s West Village a presence that incorporates its brand story and emphasizes collaboration and flexibility. The Wing, a co-working club dedicated to women, has opened a hub in Chicagofeaturing details that draw on 20th-century architect Frank Lloyd Wright's Prairie-style. Just imagine getting to work outside every day or at least in a space that feels like it. The innovative developer has created an office with cleverly divided spaces. 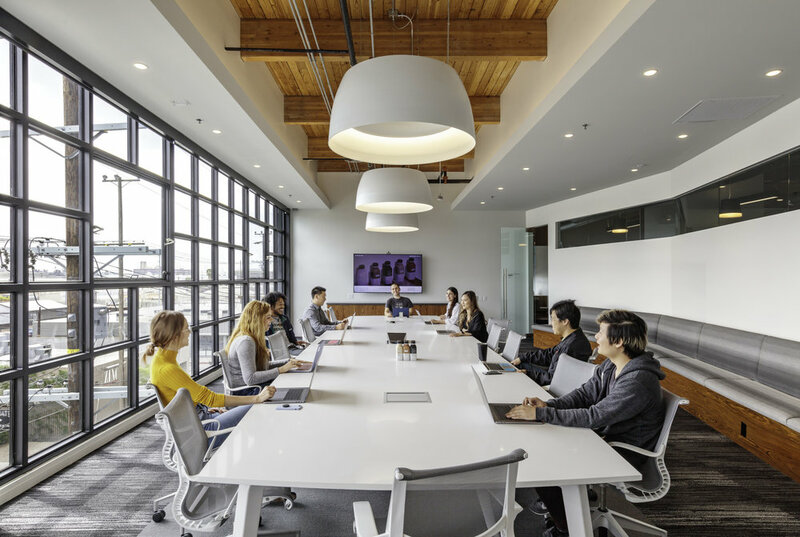 Striking the right balance between individual and shared spaces within a single workplace is itself a challenge; achieving this for three distinct clients in one building is a colossal undertaking. 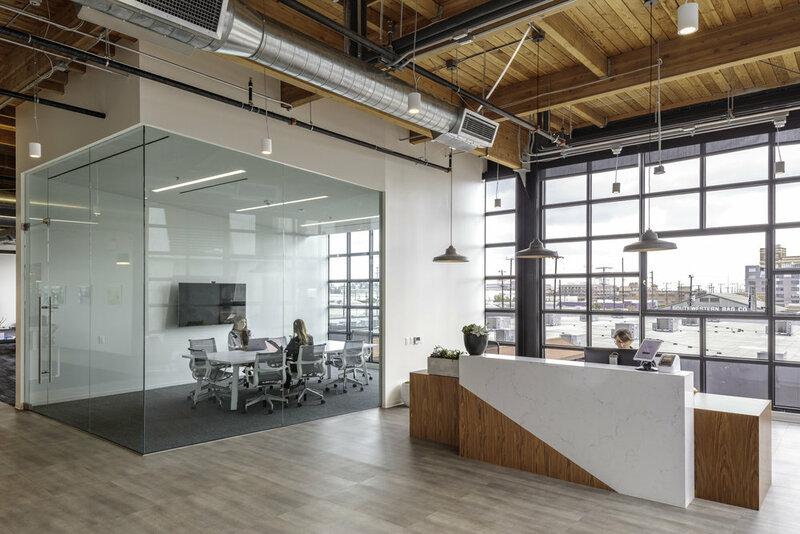 Gensler was engaged by Tribune Media, television broadcasting giant, to design their new offices located in Chicago, Illinois. Located in Cartersville outside of Atlanta, the Shaw Create Centre is the innovative home for commercial flooring brands Shaw Contract and Patcraft. Designed for iconic crystal manufacturer, Swarovski Manufaktur is a state-of-the-art crystal workshop in Wattens, Austria, created by Snøhetta. AstraZeneca Project Director Martin Sharpless tells Site Selection how HOK’s design supports the company’s goal of being energy neutral, carbon neutral and water neutral by 2025. Designed with an endless variety of mini-experiences, Jacobs has created a revitalized environment for their client's existing workplace in the New England, Massachusetts area. When Gensler designed the London HQ for publisher Hearst, it looked to high-end residential style for inspiration. Armed with a modest budget of $200,000, Poppin product designer Matteo Bonacina decided to clad the walls in blond plywood and redo the “Work Happy” sign in white neon. Weaving together the scientific method and the culture and talent of Two Sigma, the design of their New York City Collision Lab makes for a prime innovation space. Net Marketing has moved into their new Tokyo offices where work and leisure balance is encouraged with a relaxation salon featuring acupuncture, versatile work style options and access to natural light. In December, Cameo moved into its new home at 406 N. Aberdeen St. in the West Loop. Now at just over 30 employees, Cameo’s office gives it room to grow as it looks to be at more than 100 workers by the end of 2019. The forthcoming lounge for premium passengers looks more like a WeWork than a train station lounge. The Chicago Bears have moved their sales and service offices from Soldier Field to downtown Chicago.